This is a brief summary of the best places to visit when traveling to Ireland. Some of the places included will of course be places people have heard of, but some will also be those out of the way, hidden gems that only the locals know about. Although Ireland is a small enough country, it is vast in places to see and visit. For such a small island, the diversity from one place to the next only a short distance away is actually vast. When I lived there, I always used to cringe when I would meet the American tourists on the big tour bus. They got the cookie cutter tour and I am sure it is memorable. However, if you really want to get to know a place, talk to the locals and go where they go! 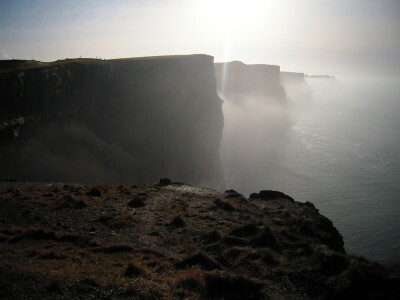 The Cliffs of Moher are at the top of my list mainly because they are one of the most stunning sites in Ireland. They also are placed at the top of my list because they are situated in County Clare, which is one of the best places to visit to find traditional music and what remains of old Ireland. The Cliffs of Moher are situated between Lahinch, which has some of the best surfing in the world, and Doolan which is just a magical step back in time. Then you have Ennis further inland which has a trad session available about every 100 feet! 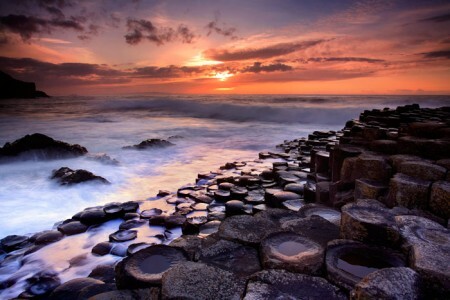 The Giants Causeway is a stunning natural phenomenon that must be seen to be appreciated. This is my second choice for a few reasons. 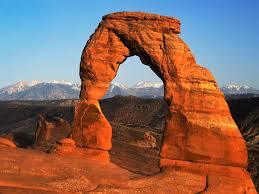 First, it is an amazing geological feature that is rife with folklore and fairytales. Secondly, you can see Scotland from the shores here on a clear day and the sunsets are unbelievable. There is so much nearby to see and explore, the coastline is absolutely gorgeous, and not too far away you can take a tour of the Bushmills Distillery. This is well worth the visit, not just for the Whiskey tasting but also for the history. 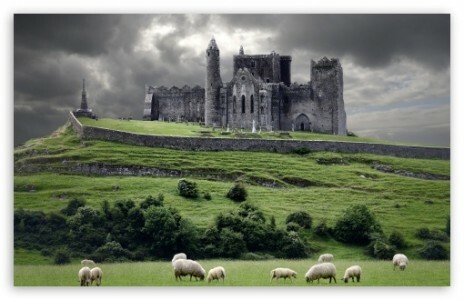 The Rock of Cashel is a breathtaking monument which rises out of the fileds along the road to Cork. I remember my first view of it many years ago. It was like something out of a medival feature film. It's presence is imposing and spectacular and the history is as always fascinating. 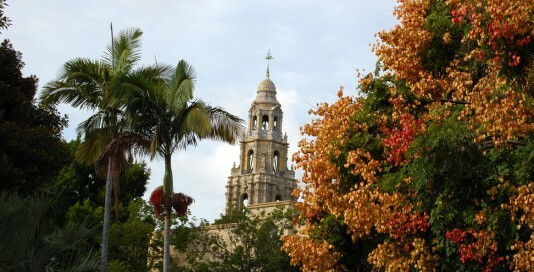 The town itself in which it is situated is a lovely place full of quaint shops and cafes. Visiting here situates you perfectly for going on to visit Cork and the beautiful southern coasts or to head east toward the medival town of kilkenny, which is the next place on my list! The medival town of kilkenny combines both the fascination of the old world and history with the modern and chic boutiques and shops of a trendy town. Kilkenny is a center of culture and art, history, fashion, and fun. Whether you are exploring the medival cobblestone alleys that weave around the town, or you take afternoon tea in Kilkenny castle or one of the other upmarket establishments to be found in the town, you will enjoy yourself completely in Kilkenny. There is every kind of entertainment to be found in the evenings, from any of the pubs to the Cat Laughs festival to popular music concerts. 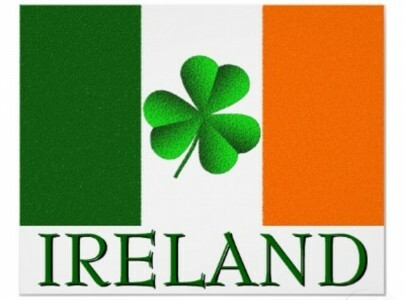 The varied history of Ireland has seen many waves of various invasions. 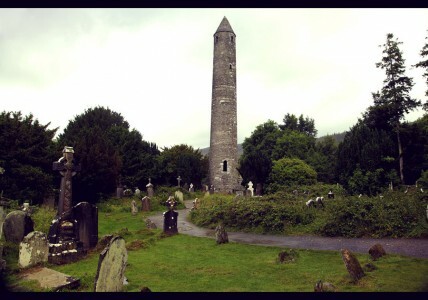 One of the lasting remnants of these invasions, such as the Vikings, are the towers that can be found near abbey ruins and churches all over Ireland. They were used by monks who protected the knoweldge that had been gathered and maintained by hiding their books and themsleves in these tall towers. It was near impossible for invaders to penetrate these towers. 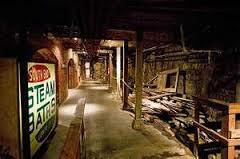 Now they provide a beautiful haunting remnant from the past to Ireland's visitors. There is a magnificent specimen in the graveyard in Wicklow near Glendalough. Achill Island on first glance does not appear to be that spectacular of a place to visit. Yes, it is on the Atlantic Ocean, one of the places where you are closest to the east coast of America, and there is plenty to do from surfing to surf boarding. However, a little known ghost town exists in the hillside on Achill Island which is one of the best preserved examples of island life in old Ireland. You can walk through the town and see the walls and houses and streets and imagine the lives that these people lived in this harsh environment on the edge of Ireland. Many people have heard of Newgrange passage tombs. Indeed you can go and visit Newgrange and have a very interesting experience. They have done a great job explaining the history and providing an interpretive center. 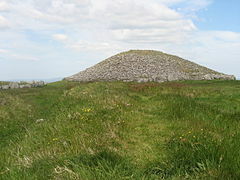 However, if you want to experience what it is like to be inside the passage tomb, to be up close to the petroglyphs and inner workings of the tomb, then Loughcrew is where you want to visit. It is found near Oldcastle, County Meath and the key can be obtained from the reception at the loughcrew cafe. The key opens the doors to the tomb allowing you your own personal tour. I know this is one of those tours that every tourist does, but it is because it is absolutely worth it. 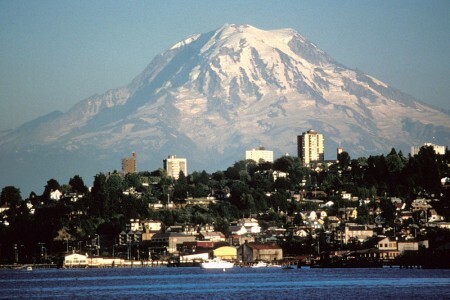 The views are exquisite and the trip is like travelling back in time. Also, it is best to take a bus tour as the roads on the Ring are VERY narrow. I have known more than one tourist who lost wing mirrors, not to mention other mishaps, on that road. It is also worth mentioning that the sheep also make the journey humorous, but slow. Stop at Dingle and Killarney in particular as these are both lovely parts of Ireland. Just before you reach the border to Northern Ireland you come to a road that takes you to the coastal town of Carlingford. Much like Kilkenny, Carlingford is a medival town, but without the hustle and bustle and tourists you'll find in Kilkenny. The history here is palpable and the beauty, at least on a sunny day, is unmatched. It is one of my favorite little known places to just get away from it all. Have some oysters in the bar along with some guiness. You will likely find numerous pubs with traditional sessions any time of week. Ok, so I left Dublin for last! Dublin is rich in history and culture of all kinds and you could spend your entire holiday here and never be bored, but I left it last because it is a big city and there is so much more to Ireland than Dublin. However, the one thing I do think is a must see is the book of Kells and Dublinia. The book of kells is exhibited in the library in Trinity College, another wonderful historical institution. Dublinia is housed down the road near Christchurch Cathedral. Both these exhibits are well worth a visit. It is hard to decide which place is best, but I will stick with my first choice, the Cliffs of Moher for many of the reasons I outlined above and also because it just has a special place in my heart! 20 Reasons to Love Ireland TODAY!! !